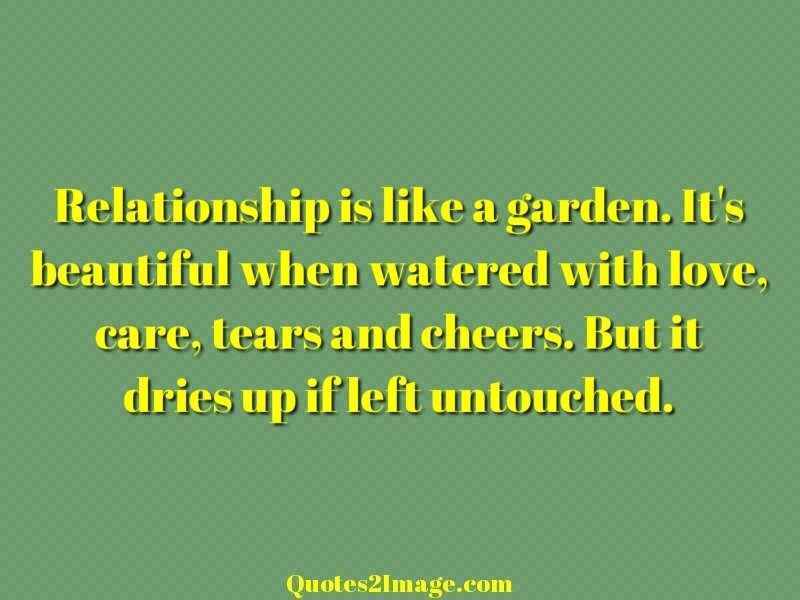 Relationship is like a garden. 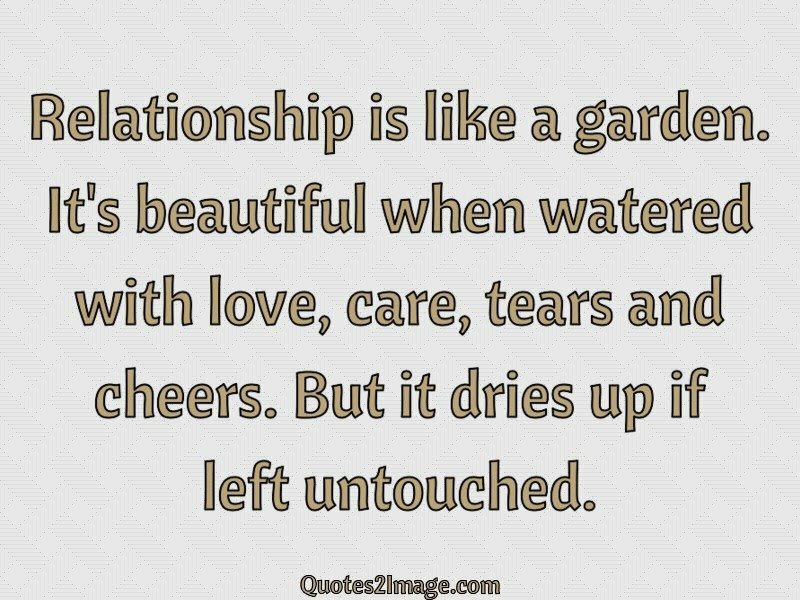 It’s beautiful when watered with love, care, tears and cheers. 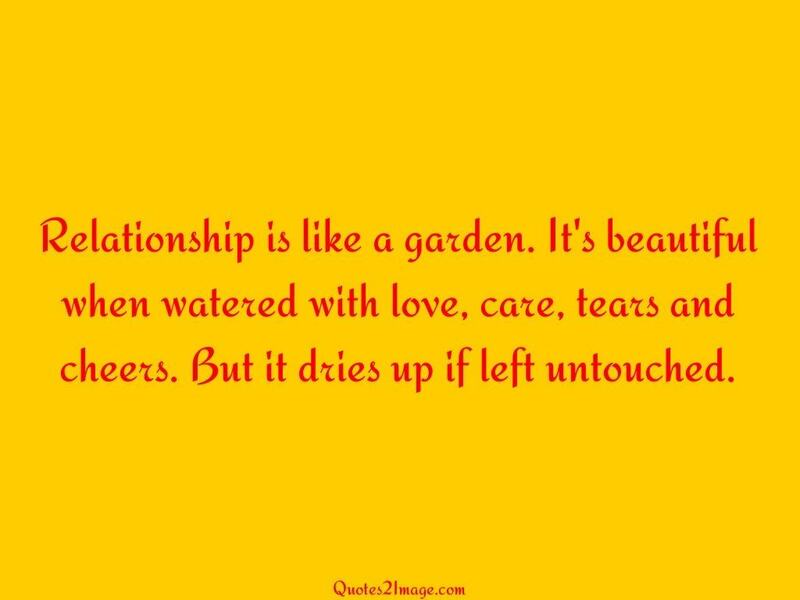 But it dries up if left untouched.